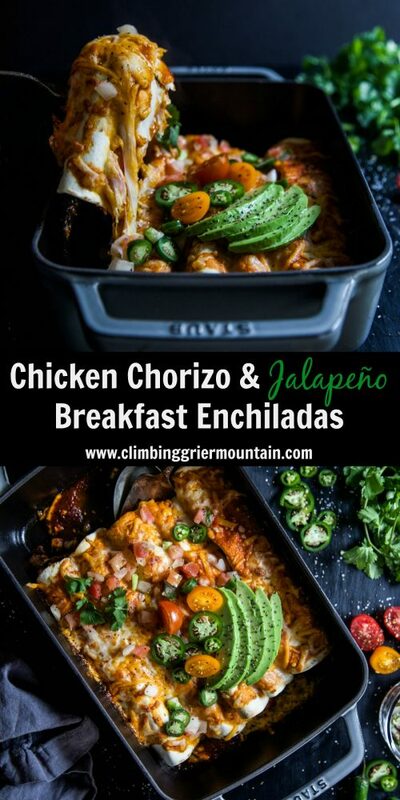 Chicken Chorizo & Jalapeño Breakfast Enchiladas are the best way to start any morning! Chicken chorizo mixed with fluffy scrambled eggs, jalapeños, peppers and stuffed into a cheesy enchilada. 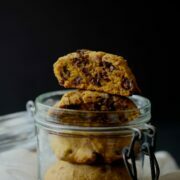 These are wonderful to make ahead of time! 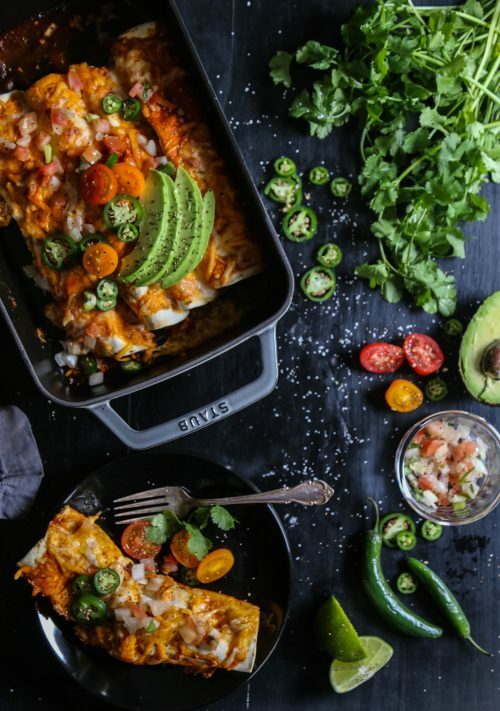 Inside one of these breakfast enchiladas, PA-LEASE?! I don’t know about you, but I have a bit of cabin fever at the moment. Yes, in Colorado you can escape the confining walls of your house and hit the slopes, but right this very second, I am longing for warm summer nights. I miss the ceremony of pouring Mr. B and I a glass of rose and sliding into our red hued Adirondacks while watching the sunset. I do love winter for all of it’s beauty and stillness. But! 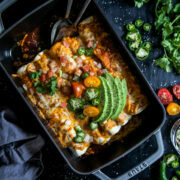 If I’m going to survive Old Man Winter and his bitchy ways, I am going to need to arm myself with these Chicken Chorizo & Jalapeno Breakfast Enchiladas. Please tell me you love chorizo? Bacon and sausage were the standard protein options when I was growing up, and I still think they have a place at the breakfast table. It wasn’t until we moved to Denver that I realized chorizo was even an option for breakfast. Denverites put chorizo on everything – shrimp and grits, eggs Benedict, tacos, omelets, pot (JK! ), and waffles! Now, instead of bacon the first thing I look for when Mr. B and I go out for brunch is any dish that has chorizo. Chorizo topped cinnamon rolls? Why the hell not?! 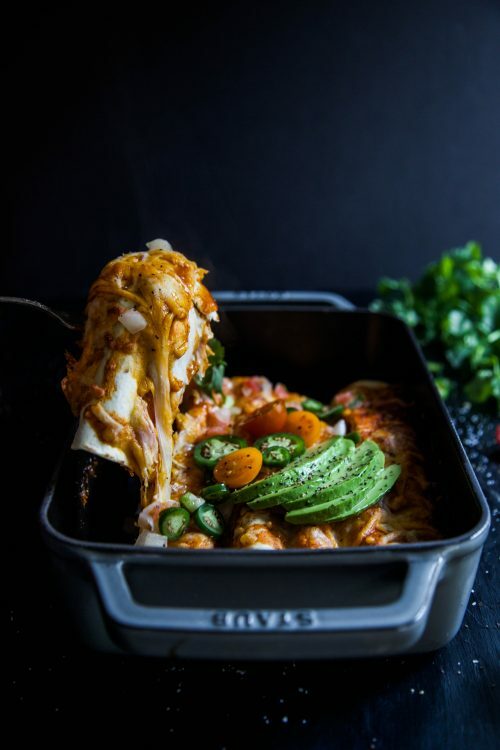 So, I’m hoping these chorizo enchiladas will bring you closer to the chorizo breakfast side because these enchiladas are lights out amazing. Sauted chorizo mixed with jalapenos, peppers, fluffy eggs, and stuffed into a flour tortilla and topped with red enchilada sauce and cheese. WHEEEEEW Bessie. If these enchiladas don’t kick Old Man Winter’s tookus, we might need that chorizo covered pot afterall. In a large skillet preheated to medium high heat, add 1 tbsp olive oil and chicken chorizo. Saute the chicken breaking it up with a wooden spoon and cook until no longer pink about five minutes. Remove the chicken chorizo from the skillet using a slotted spoon and set aside in a bowl. In the same skillet as the chicken chorizo add 1 tbsp of olive oil, yellow onion, green pepper, red pepper, jalapeño, salt and pepper. Satue the veggies until they have softened about five minutes. Remove the veggies with a slotted spoon and set them in the same bowl as a the chicken chorizo. In the same skillet as the veggies, add the whisked eggs, half-n-half, and 1/4 cup cheddar cheese. Continue to stir the eggs until scrambled and fluffy about three to four minutes. 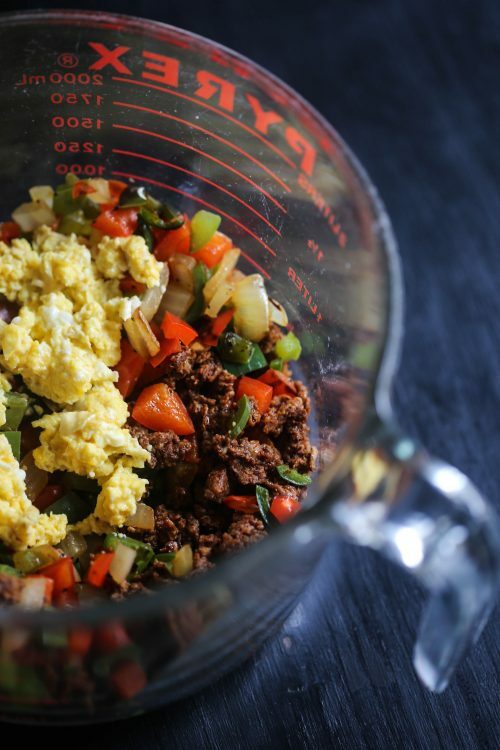 Add the eggs to the chicken chorizo and veggie bowl. In bowl with chicken chorizo, veggies, and scrambled eggs. Pour in a 1/2 cup red enchilada sauce and stir to combine. Pour 1/4 of the red enchilada sauce on the bottom of a 9 x 13 baking dish. Next, fill a tortilla with the chicken mixture and roll. Place the tortilla seam side down in the baking dish. Repeat until all the chicken has been used. 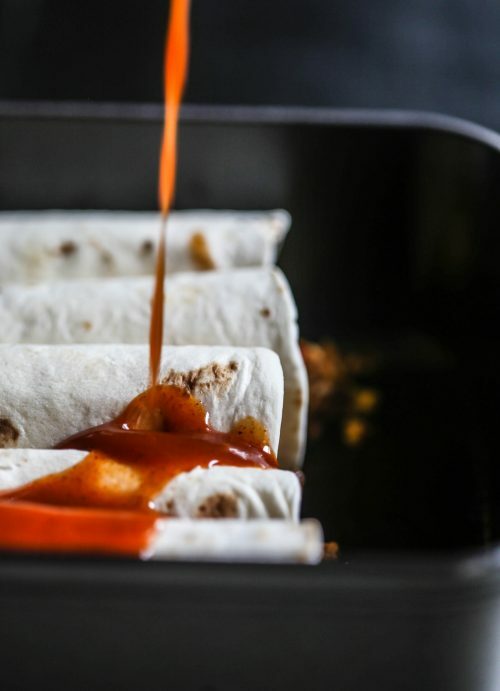 Once you have filled the baking dish, pour the remaining enchilada sauce over the top of the tortillas. Top with cheddar and mozzarella cheese. Bake uncovered for 30 minutes or until warmed through and the cheese has melted. Remove from oven and garnish with cilantro, pico, and avocado! 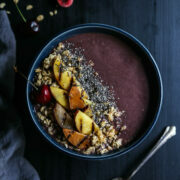 What an awesome breakfast and brinner idea! Ok, I’m a taco guy… love them. And, specifically, I love a good breakfast taco. So why have I never made breakfast enchiladas! 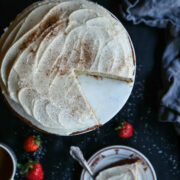 Such an awesome brunch idea! 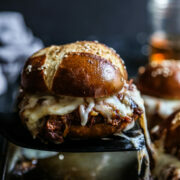 I love tacos too, but these are a delicious, cheesy change up! 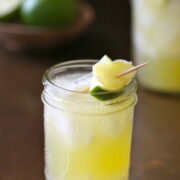 Ahhh I’ve never met an enchilada I wasn’t obsessed with….These look (and sound!) SO good. Dude, they are on point!! 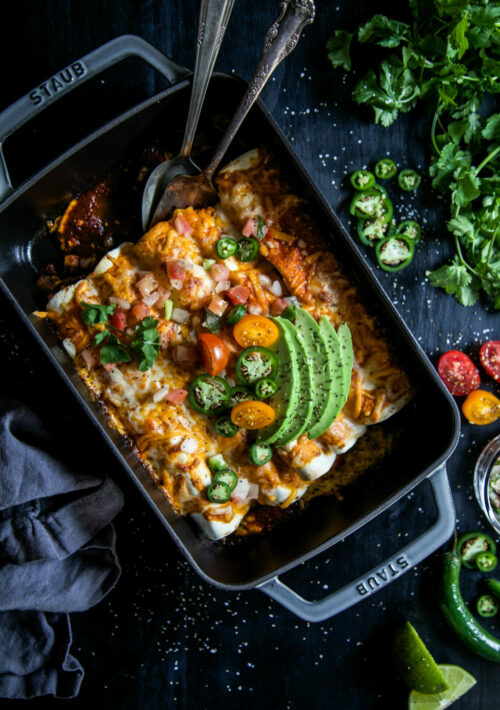 You had me at breakfast enchiladas! Ohhh yeesss! !